The unusually warm weather has meant the early emergence of Fritillaria. I am very pleased with my Frit karelinii - they started to flower at end November. Frits are on the top of my bulb list (maybe just under lilies). Warm weather... same thing over here. I got a full plastic box of F. persica seedlings that I just saw emerging from the dirt a couple days ago. My small collection of rhinos have only just broken cover. Hmmm, what have you started Fermi? 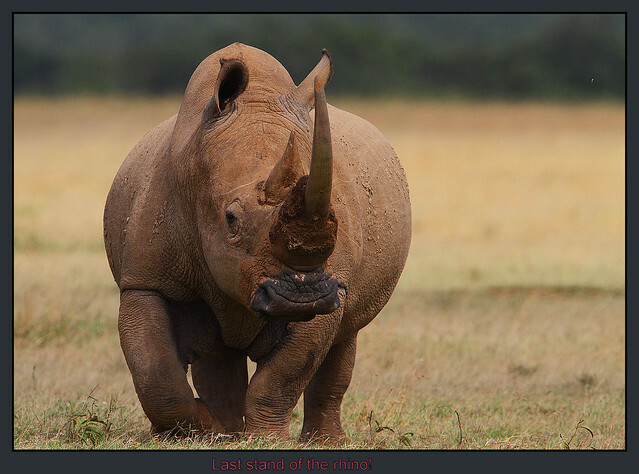 (Upper image is a Southern White Rhino at Lake Nakuru, N.P. Kenya. Sorry for intruding on your thread Arthur. I hope my Frit. karelinii turn out as good as yours! No need to explain Arthur . We see the evidence . Very very nice. "even the truth is very often only perception"
"Small plants make great friends"
Arthur, a lovely 'autumn flowering' fritillary! Unusual to see F. karelinii flowering so early. The only one in bud here is Frit crassifolia. And so you should be pleased Arthur, it is beautiful (and difficult?). The spotting is delightful. 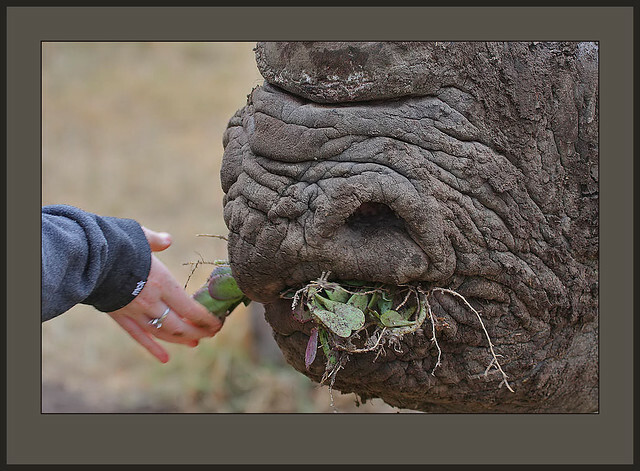 Super rhino pictures. Where are the Wildlife threads? More please Steve. It's way out of season but I wanted to ask confirmation or otherwise of the frit below, from FGAGS seed, as F. monantha. It flowered here (NZ) very late (November), the first time but another the same also flowered a couple of weeks earlier, from the previous year's sowing. I found this picture of one that flowered early December. Lesley, I have never grown Frit. monantha but there was some email correspondence regarding a plant I submitted as Frit aff. monantha to the Joint Rock, subsequently identified as Frit. walujewii. I have little knowledge of F. monantha Migo. Here is my preliminary account, for what it is worth. History Fritillaria monantha was described by Hisao Migo (b. 1905), in 1939 from specimens collected in south-eastern Hunan, in the Tien Mu mountains. This was a time when the Japanese were consolidating their power across Korea, Manchuria and eastern China, and studying the floras of these areas. I have never seen this species growing and the description here is taken from notes of herbarium specimens and the account in Flora Sinica. Recognition and Variation Fritillaria monantha can be recognised by its combination of large flowers with nectaries 6–10mm long, broad often whorled leaves, deeply divided style and 6–8mm wide wings on the capsule. The flowers are greenish or white variously tessellated or spotted with purple. Subspecies, varieties and synonyms The daunting list of synonyms below is taken from Flora Sinica. The illustration of F. hupehensis which accompanies the original description shows long narrowly lanceolate leaves, a whorl of 4 at the base, a whorl of 3 in mid stem and 3 bract leaves with coiled tips, and a large, rather narrow heavily tessellated flower. The illustration of F. huangshanensis which accompanies the original description shows a 2-flowered specimen, the leaves linear to 15mm wide, not cirrhose, all whorled, with 3–5 in a whorl; the flowers square at the base and heavily tessellated. Cultivation This species should grow well under the same conditions as F. thunbergii. Fritillaria monantha Migo. in Journ. Shanghai Sci. Inst., sect. 3, 4: 139(1939). Syn. F. guizhouensis Y. K. Yang & al. F. thunbergii Miq. var. puqiensis (G.D. Yu & C. Y. Chen) P. K. Hsiao & S. C. Yu. F. wanjiangensis Y. K. Yang et al. Bulb to 2cm across. Stem 20-60cm (-100cm). Leaves oblong-lanceolate to lanceolate, 5-12 cm long, 1.5-3cm wide, opposite, whorled or alternate, apex especially of the bract leaves often curled. Flowers usually solitary, or up to 4, tubular bell-shaped, square at the base, inside pale greenish-yellow, tessellated, sometimes heavily with purple or reddish-purple, the tessellations showing through; scent not recorded. Tepals 3.5-5cm long, the inner to 2cm wide, oblong-obovate to oblong, the outer narrower, around1cm wide. Nectary large, conspicuous on the outside of the tepal. Filaments 20mm, smooth or slightly papillose. Style 20mm, the branches 3-8mm, smooth. Capsule shortly cylindric, 1.5-2cm, wings around 6-8mm wide. E. China in Anhui, Henan, Hubei, Jiangxi, Sichuan and Zhejiang, in forests and moist places on limestone hills and floodlands, at 100-1600m, flowering from March to June. Arthur, very early flowering again. All rhinopetalum frits are nice but F. karelinii is not the easiest to grow. Well done.